Garnier's lovely PR sent me the aforementioned product which is currently sold exclusively at Boots and online. 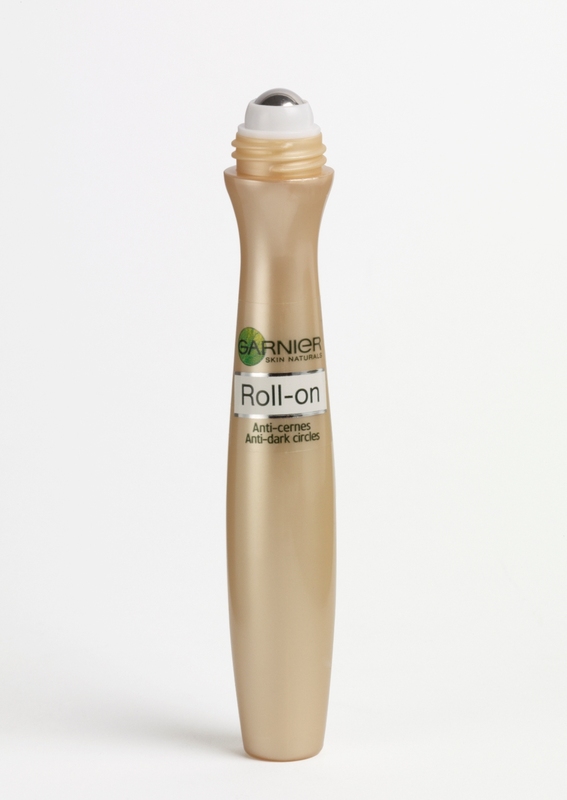 The caffeine in Garnier's first ever tinted roll-on product refreshes and hydrates tired-looking eyes, and the mineral pigments work immediately on dark circles. It's a great post-moisturiser, pre-foundation product which acts as both a concealer and eye treatment. I'm a firm fan of tingling beauty products (Carmex 4 life) and the refreshing sensation when you apply it is a perfect pick-me-up for brightening morning eyes. It's now the UK's number 1 eye care product, with one sold every fifteen seconds. I'd heartily recommend it for party girls who want a quick fix cover-up!